This is a VERY NICE, Dark Gray Metallic, 2018 Forester 2.5i Limited with ONLY 22,306 miles on it and comes with the All-Weather package! The All-Weather Package is a staple of most Subaru's, adding heated side mirrors, a windshield wiper deicer and heated front seats. The Forester gets an X-Mode driving system that can be tuned to different driving terrains! The CVT transmission is smooth as ever with a fuel economy 32 MPG, with AWD! Being a Premium model, it adds 17" alloy wheels, rear spoiler, roof rails, a 10-way power driver seat and a panoramic sunroof. Plus it comes with a rearview/backup camera! It also now sports the Harman Kardon Audio System featuring Subaru's STARLINK smartphone app integration with a 7" LCD touchscreen, Apple Siri Eyes Free/Android MirrorLink integration, hands-free text messaging and Sirius satellite radio (w/subscription)! Owners can use their smartphones and tap into nearly unlimited entertainment with apps like Pandora, iHeartRadio Aha, and Stitcher. You also get dual USB ports and Bluetooth for audio streaming. And of course, the Forester still retains all of it's rugged trail ingenuity by combining a generous 8.7 inches of ground clearance! For safety, every Forester includes traction and stability control, front side airbags, side curtain airbags and a driver's knee airbag. STARLINK Connected Services on the Limited offer emergency assistance, collision notification and more! A roomy cabin and good fuel economy make the 2018 Subaru Forester a solid choice for a compact SUV. But it's the standard AWD, powerful optional turbocharged engine, and high ground clearance for off-road adventuring that set the Forester apart from the pack! $412/mo* This offer is available only to qualified customers with a credit score of or above. % APR financing for months at per month, per $1,000 financed, down. Excludes leases and balloon contracts. Available only at participating dealers by . Subject to credit approval by lender. Rate applies only to vehicle shown. Not everyone will qualify. See for complete details on this and other finance offers. 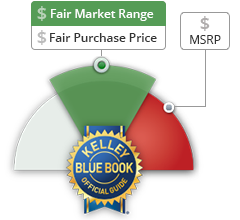 With KBB Price Advisor, we know EXACTLY how we need to price our vehicles from day ONE in order for it to sell quickly! Our vehicles are priced to sell fast - We want you to be confident you are getting a great deal!